Breakfast is big in our house. Our favorite meal is always breakfast foods. 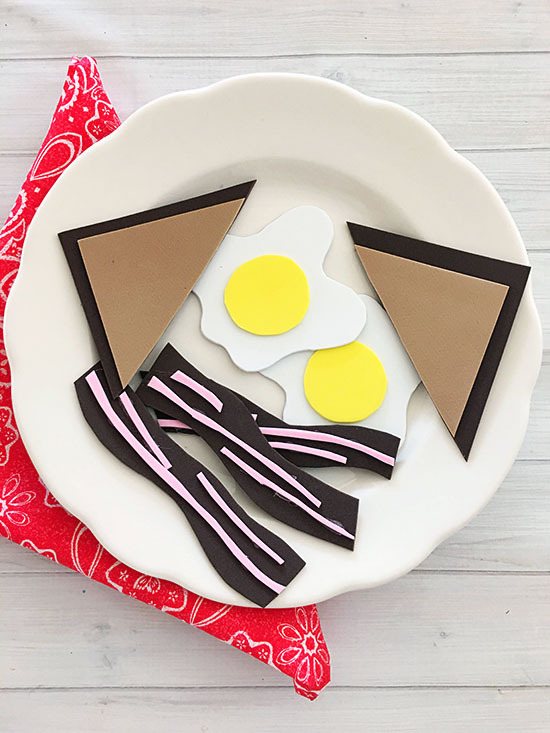 Kids will really enjoy making these super simple foam breakfast pretend play toys! 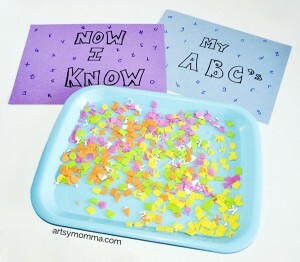 Take a look at how we make them and use them with toddlers and preschoolers. Even kindergartners will have fun with these! You will be making foam eggs, toast, and bacon. *This post contains affiliate links. For more info on these, please read our disclosure policy here. Check out these DIY Foam Stamps! 1. 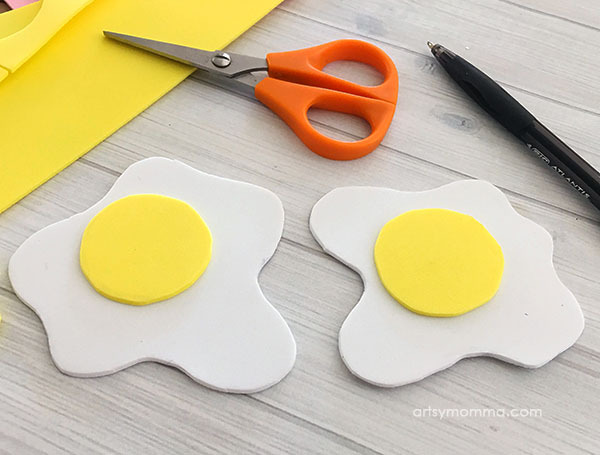 To make the eggs, draw a couple wavy circles onto your white foam and cut them out. 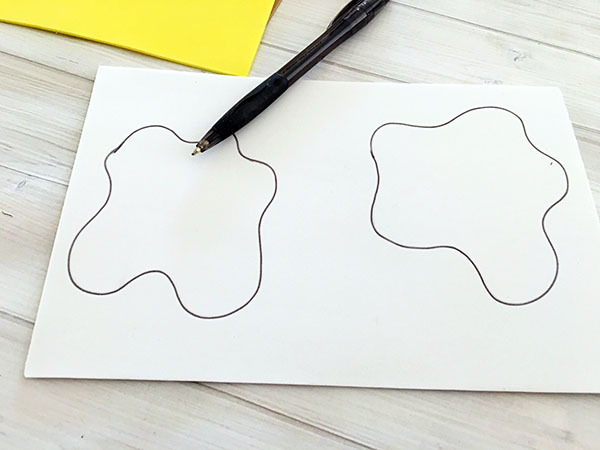 Then cut 2 small yellow circles out and glue them in the center of your white wavy circles. 2. 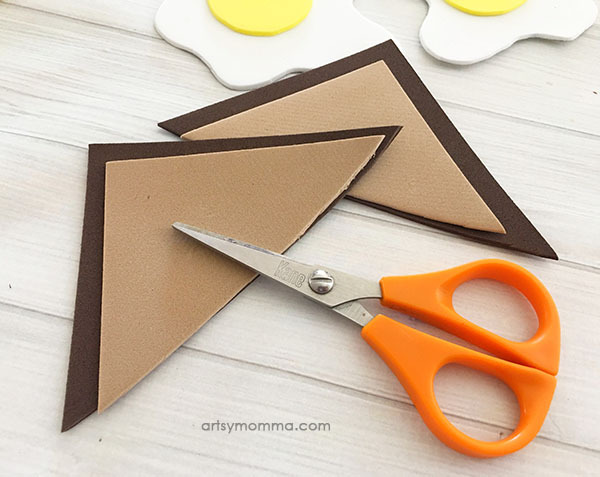 To make your toast: draw a square onto your brown foam about 4″ x 4″ and draw a 3.5″ x 3.5″ square onto your tan foam, cut them out, glue your tan square onto your brown square and cut diagonally to make 2 pieces of toast. 3. 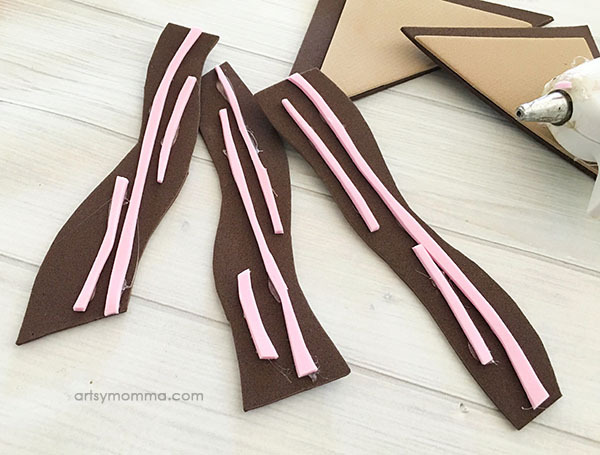 To make your bacon: Draw several long wavy rectangles onto your brown foam and cut them out. 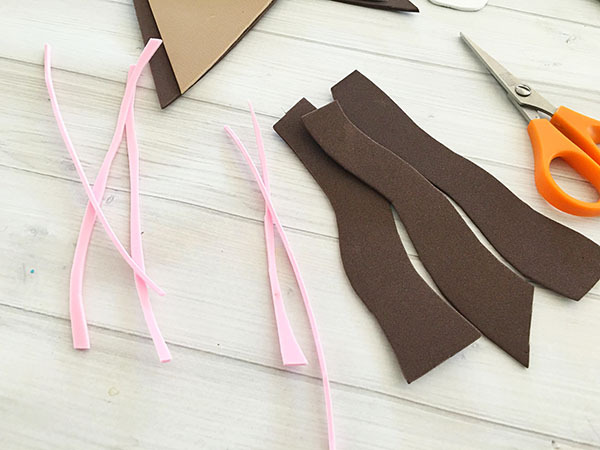 Then cut out several long pink skinny strips and glue them onto your brown pieces. 4. Let all your play food dry and then you can start pretending! What do you think? 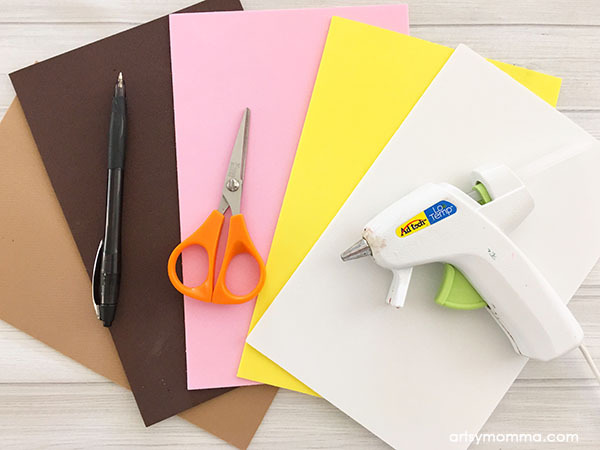 Will you kids enjoy this craft or what?! 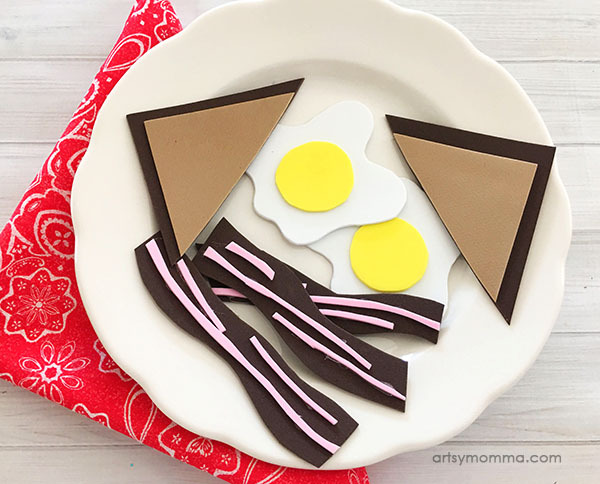 Thank you for visiting our Foam Breakfast Pretend Play Tutorial post!